Breakneck browsing speeds and unmatched privacy await when you upgrade to TorGuard’s Anonymous VPN and Email! 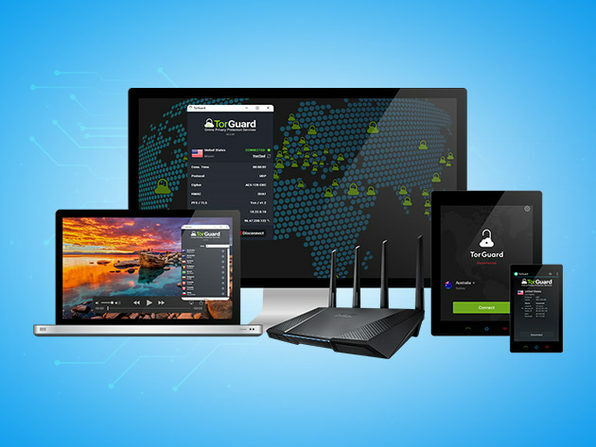 Rated the fastest VPN in 2018 by PCMag, TorGuard VPN lets you access your favorite content with unlimited speeds and bandwidth and keeps you under the radar via AES-256 encryption and rock-solid protocols. Meanwhile, TorGuard Anonymous Email uses powerful OpenPGP encryption to keep your correspondence from nefarious parties, and even throws in productivity-boosting features sure to satisfy any email power user. Rated the fastest VPN in 2018 by PCMag and best budget pick in 2018 by Wirecutter! Compatible with online streaming services like Netflix. Note: Streaming IP add-on may be required, but add-ons are also discounted under 50% code. Updated OpenSSL to 1.0.2p and OpenVPN to 2.4.6. Server sites are ordered by distance to user. Now selects the closest server as default, displays more information on fatal VPN error, and filters invalid IPs addresses on DNS update.